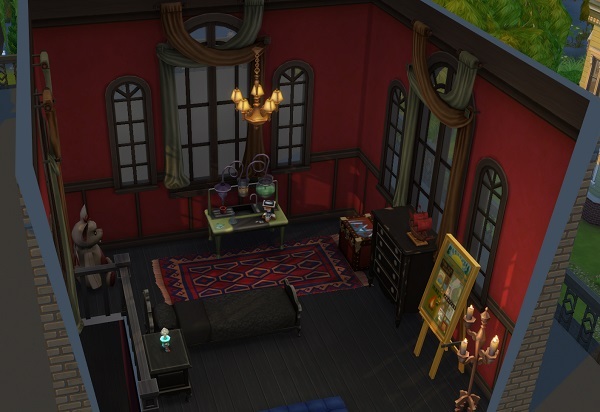 Again, before starting I had some redecorating to do. Not much.. but I end up doing a bit more as the week goes by. 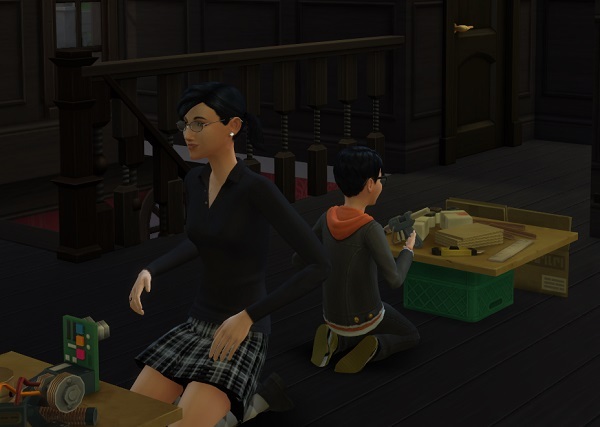 Bella got her babysitting job, and Alexander joined the scouts, but other than that things were fine in the career department. 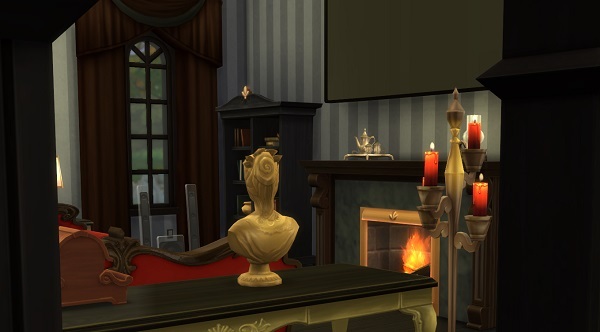 Again, photos seem very dark in this house, so I’ll apologize ahead of time. It’s that dark wallpaper again and poor lighting. 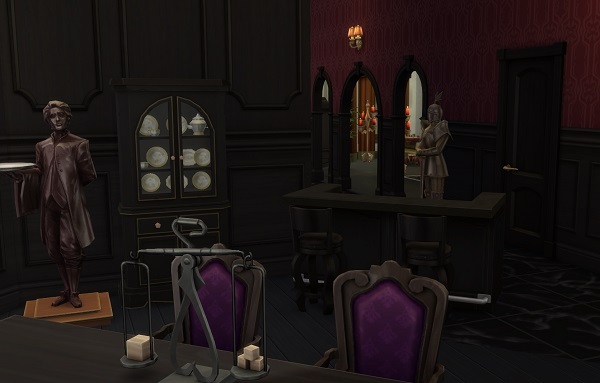 Added a bar into the dining room, moving some of the other furnishings around to make room for it. Added a TV and moved a painting to allow for it. Oh… And I’m proud to say.. 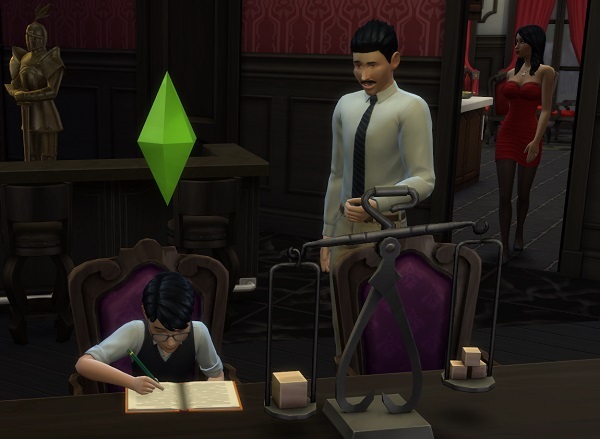 I got so caught up in the story this week that I plumb forgot to make Mortimer write books. 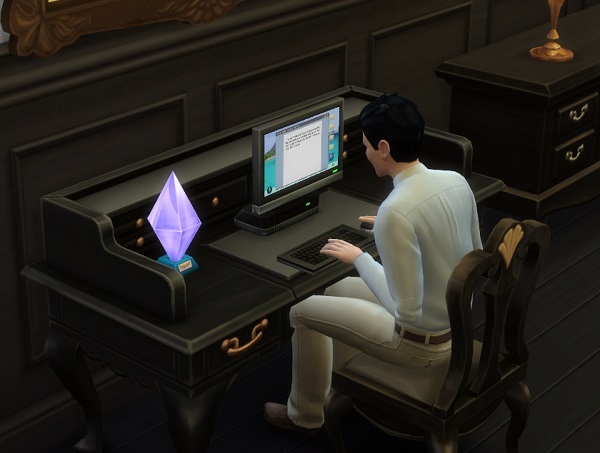 He wrote ONE in that entire week… so this expansion getting me into the game is a resounding success. 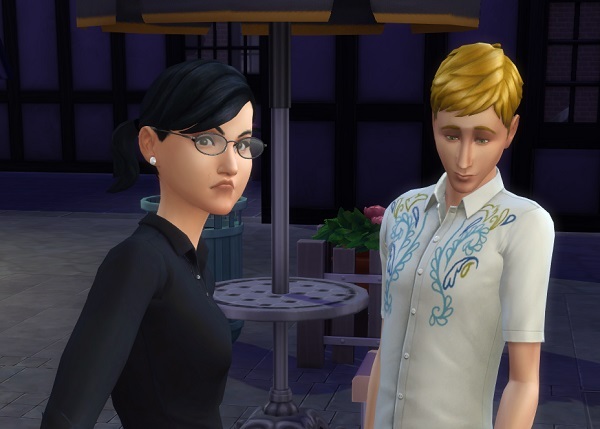 Usually I get so caught up in making perfect sims I completely ignore any social possibilities and drama. 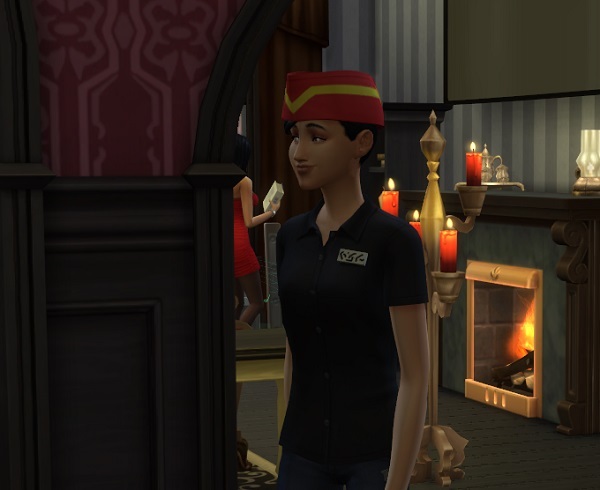 Completely out of character for me, I ended up getting swept along in my sim’s little stories, and I’m afraid I took far too many screenshots.. necessitating a two part week. But.. you’ll see why as we go. Enough talking from me.. let’s get to the story! 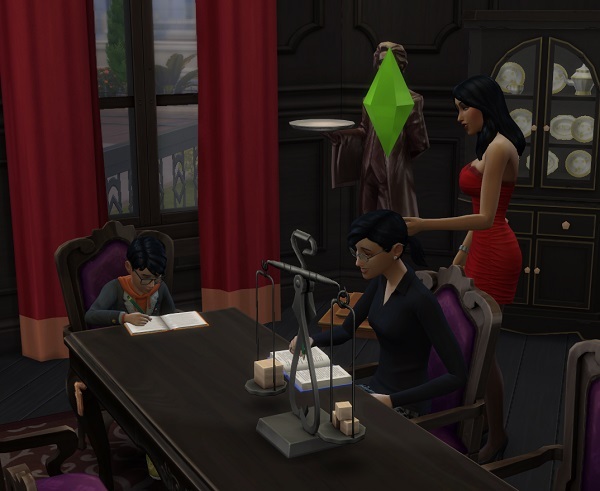 The week begins on a happy little family all helping in a homework party. Cassandra and Alexander seem to be racing to see who can get done first. But then a chance meeting happens.. and a forbidden friendship begins. 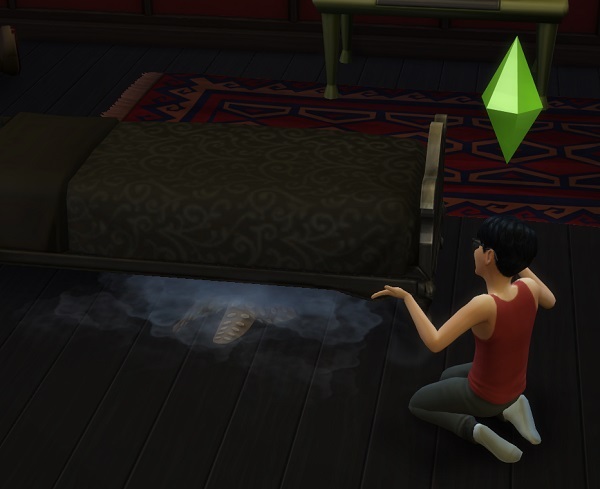 Maybe that’s the lure.. maybe it’s a tiny rebellion from Cassandra and the “perfect family”.. maybe Malcolm Landgraab was just in the right place at the right time. 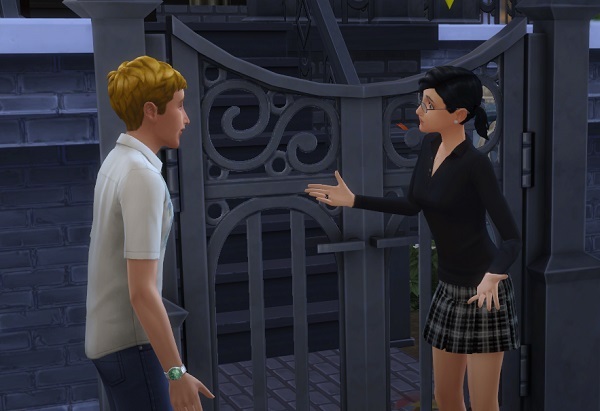 Shortly after the sidewalk meeting, the “Welcome Wagon” shows up, and Bella finally gets to meet the strange family from across the street. Everyone finds something to do. Alexander and Davey Bones bond over some chess while Cassandra and Gourdan watch .. of all things.. a zombie movie. Aghostus, being the loner sort, elects to stay home.. and babysit the twins. 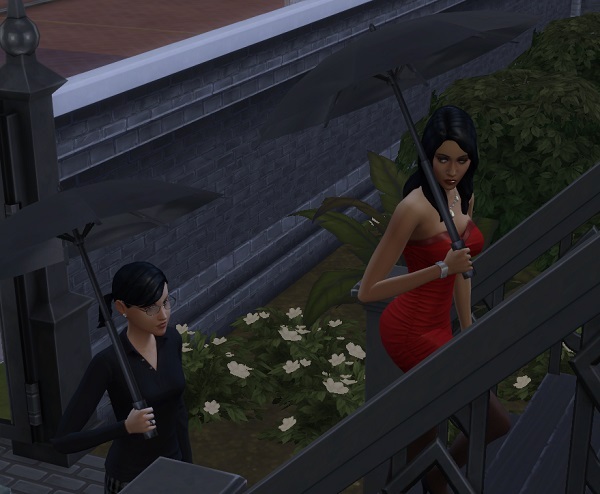 Joanna and Bella are soon the best of friends, though, and the event ends with a resounding success. Cassandra heads off for her first night of babysitting.. in the strangest outfits the agency could apparently come up with. 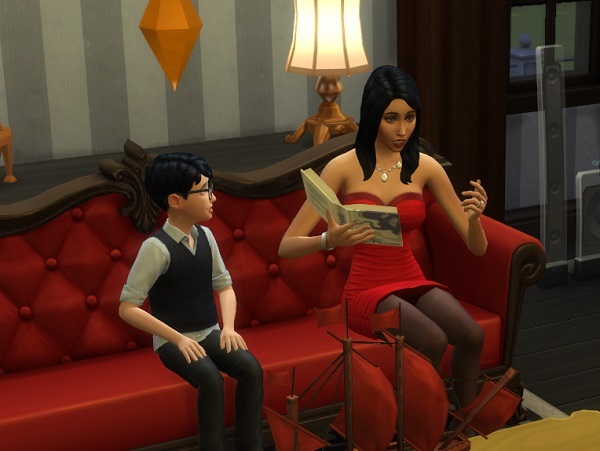 While Cassandra is gone, Bella takes some time out to read to Alexander. He may be growing up, but he still likes that sort of story time he had as a little tyke. Later that night.. way up in his third floor apartment.. I notice Alexander’s not sleeping. Zooming in to see what’s going on… I find Alexander chatting with something that should terrify any child without a care in the world. 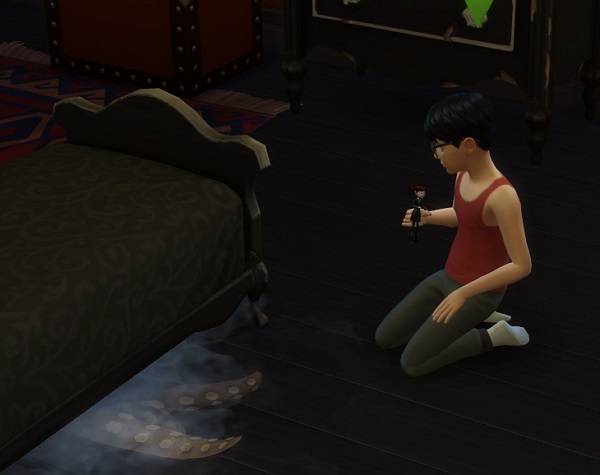 Instead of going running to his parents from the scary monster under his attic bed.. he decides to try to befriend it. After much careful cajoling, yet another strange friendship begins in this house. It may be a school night.. but what his parents don’t know can’t hurt them, right? .. Alexander is understandably too excited to sleep and pulls out a doll to play with his new monster friend. 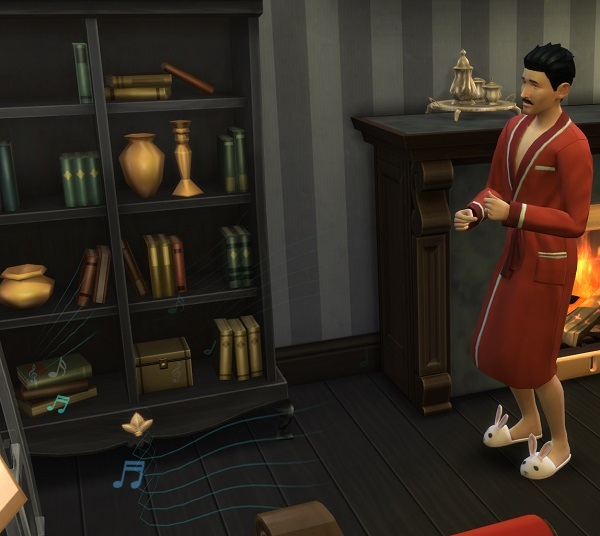 The next morning, Mortimer is up bright and early.. and apparently cheerful enough to dance at the new stereo in his PJs and robe. Good thing neither of the kids caught him, or much mocking might very well have taken place. After school, Malcolm rides the bus home with Cassandra, and they spend the entire ride talking. 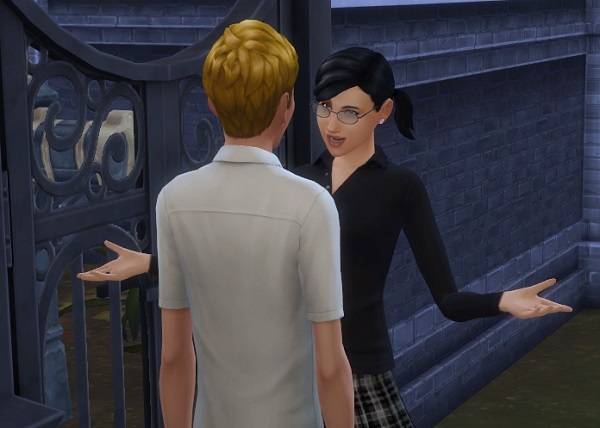 By the time they get to the Goth home, Cassandra has convinced herself that her parents won’t mind her friendship with their arch-enemies’ son. 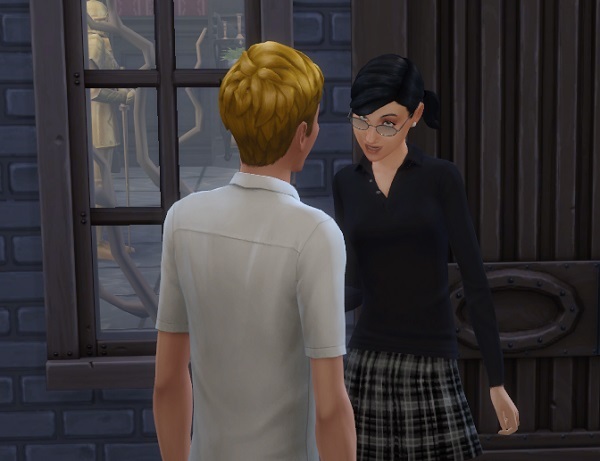 So.. with a devious look, she invites Malcolm out on a date. A friend-date, perhaps? 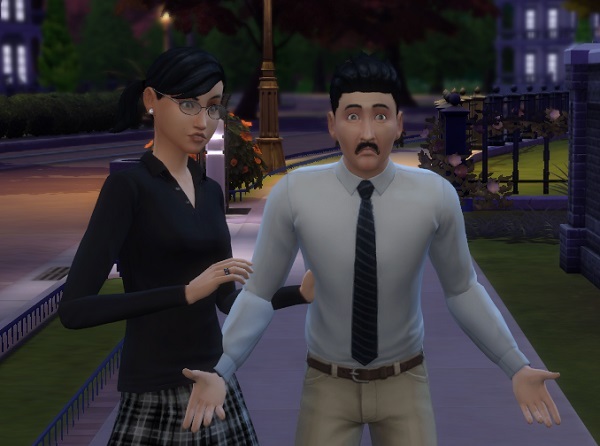 Of course, her father has to come along as a chaperone.. but Malcolm doesn’t seem to mind. 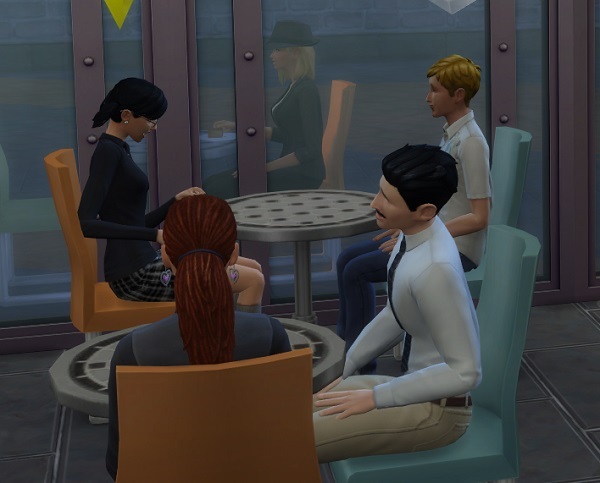 They spend the rest of the afternoon and evening chatting at the Cafe in Windenburg, complely oblivious to Mortimer, who finally ends up dozing off with a newspaper. Spotting her opportunity, Cassandra quickly moves in “for the kill”. 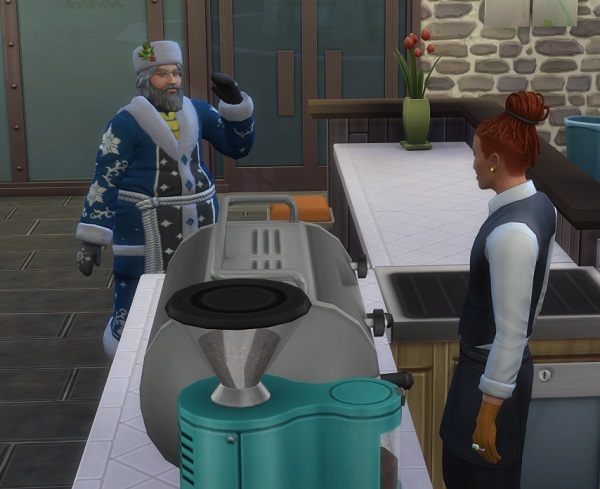 While surprised, Malcolm doesn’t seem opposed to the idea, and he even flirts back. 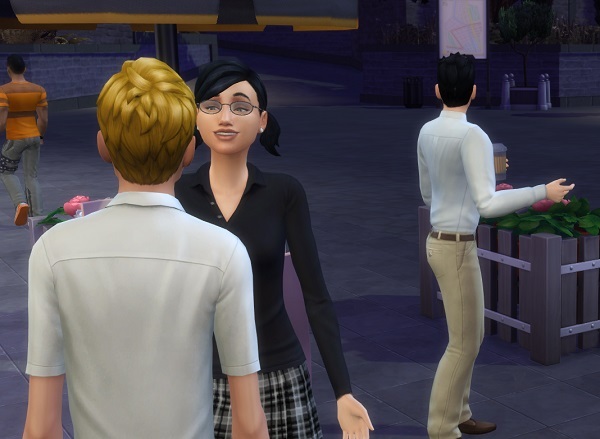 Noticing her dad waking up, Cassandra quickly buys a snack, and plays at being just-friends with Malcolm, while Mortimer obliviously chats to a neighbor. 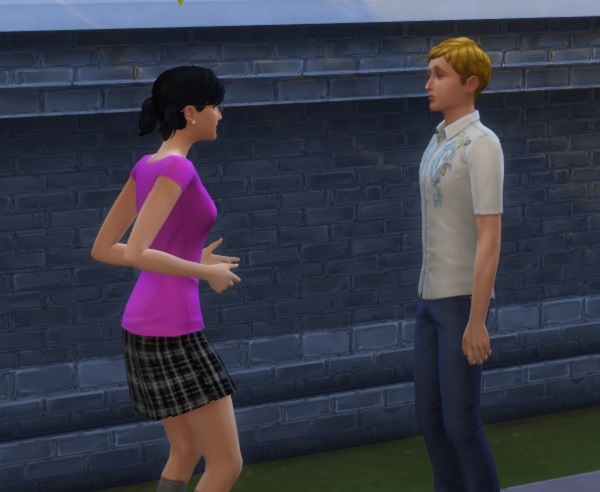 Mortimer is, again, lost in his own thoughts as Cassandra coyly tells Malcolm goodnight. Dad didn’t spot anything.. right?? … “Cassandra, we have to talk.” The five words she’d been dreading. 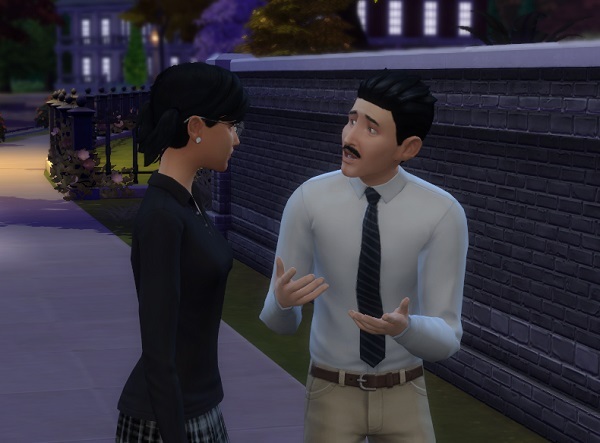 Mortimer looks on blandly as his daughter proceeds to put on hysterics about how she loves Malcolm and he’s the only one she’ll ever want. “No.” he reiterates, frustrated at her inability to see reason. “Fine.” says Cassandra and storms off. Sighing deeply, Mortimer follows her inside. 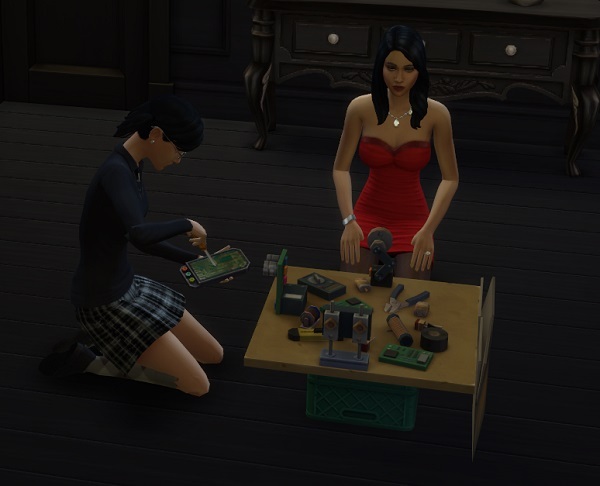 … And Mortimer wisely let’s Bella take on the “problem” of Cassandra’s school Robotry project. 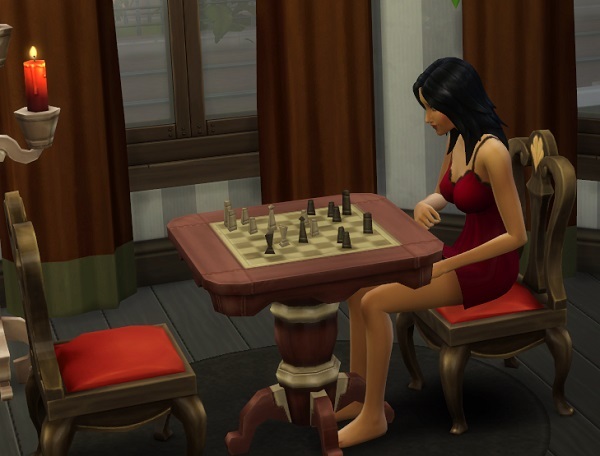 After the kids are in bed, Bella stays up long into the night, working on her logic skill… ostensibly for work. But what could she possibly be doing at her office job that needs so much logic skill? 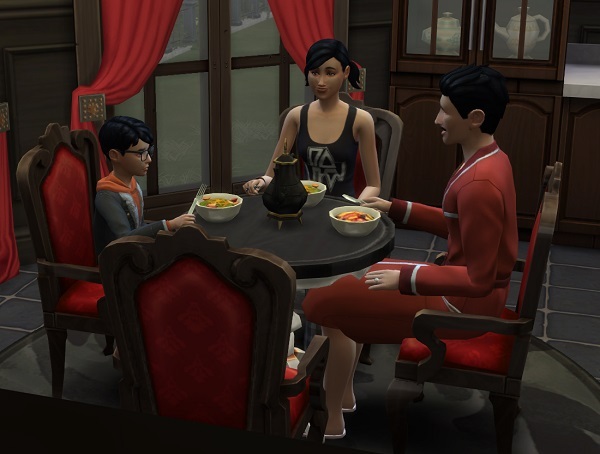 The next morning, the family gathers for breakfast. Bella has already left for work, so Mortimer has no idea when she found time for sleep. 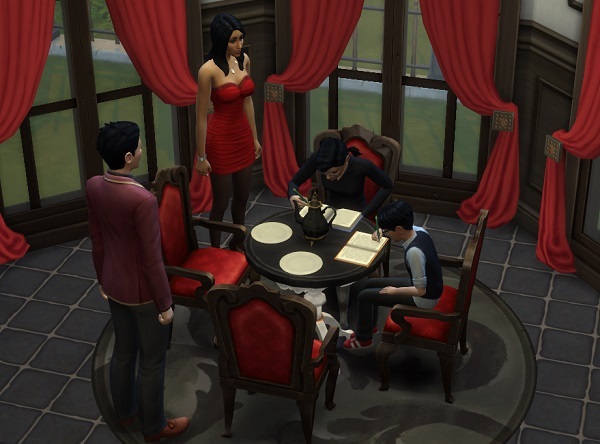 Cassandra is understandably subdued.. so Alexander and Mortimer carry the breakfast conversation. 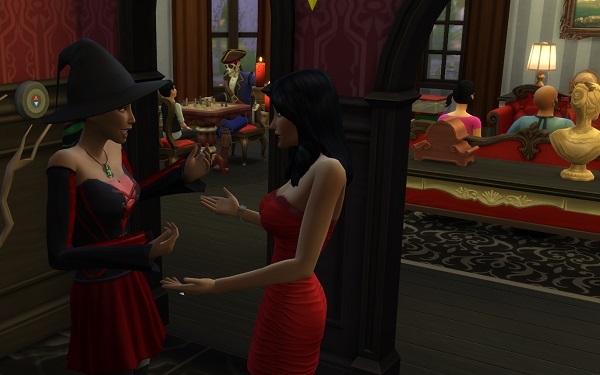 Bella has yet to chime in on the argument between Cassandra and Mortimer – in fact, Cassandra thinks she doesn’t even know about it. But Bella knows far more than she lets on.. and wonders how this whole feud will end. … and school projects to work on… so things seem almost peaceful again. 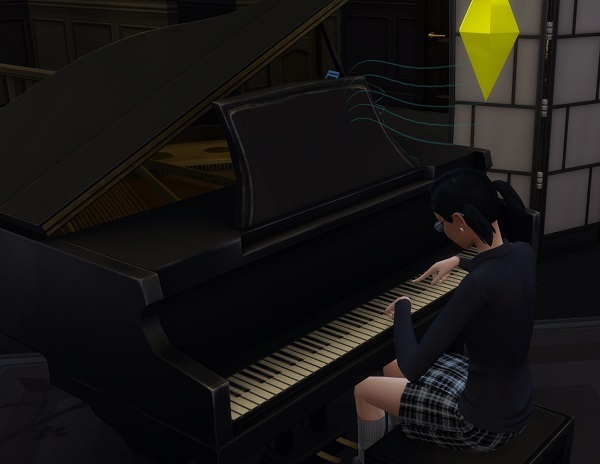 Cassandra whiles away her time mostly on her own.. or pouring her heart out to the piano. Mortimer, wisely, chooses this time to make himself scarce, and he sits down to write a Playful book.